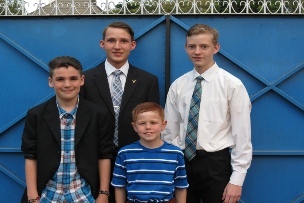 Missionary Kids are Special People. We are truly a blessed group of people. Not only do we have the privilege of growing up in a non-American culture, but we are a group of truly tri-cultural people. We are from the western hemisphere, but have grown up in the continent of Africa where we have done a great job of fitting in; yet, at heart, we are neither African or American -- We are Missionary Kids. 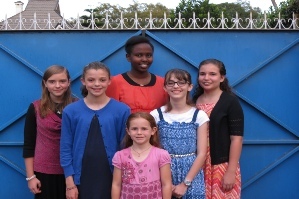 The Independent Baptist Missionary Kids Group began in Kenya, but has since gone to other countries in East Africa. We try to do something special for our Mks each year, usually during the first week of August. 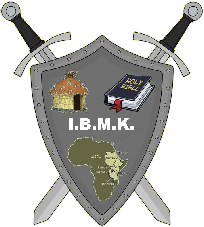 We always look forward to I.B.M.K. Kids Kamp, not only as a week away from Mom and Dad, but a week away with others who are just like us. It is a place where we can act silly, laugh, cry, and be there for each other. It is a place where we can draw closer to God in our very special way. It is a place where God can get our attention for a few days, and speak to us while we concentrate on Him. It is I.B.M.K. Kamp. It is our favorite time of the year.